Lost or forgotten your Windows password? 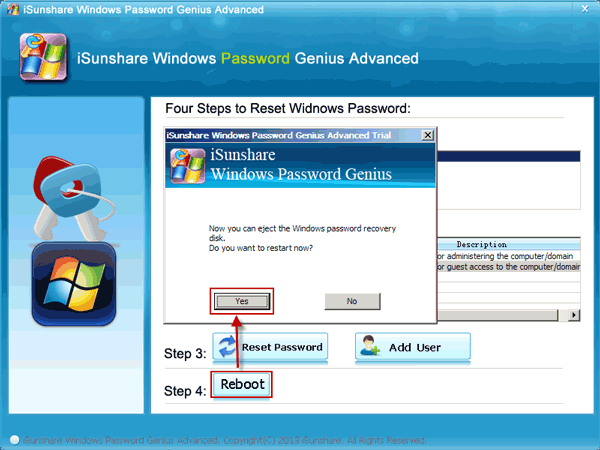 In this user guide I will show you how to recover Windows password with Windows Password Recovery so that you can access Windows again. 1. Download and install Windows Password Recovery on an accessible computer. 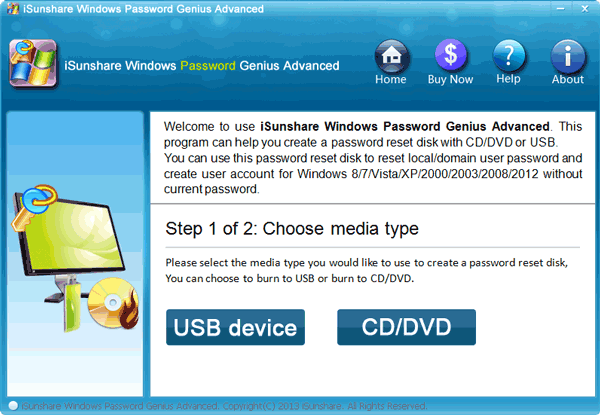 Launch the program, there are two options provided on the interface, USB device or CD/DVD, choose one and follow the instruction below. USB Device: Insert an USB flash drive into the accessible computer and select inserted USB flash drive from drop-down list. CD/DVD: Insert an CD/DVD flash drive into the accessible computer and select inserted CD/DVD from drop-down list. 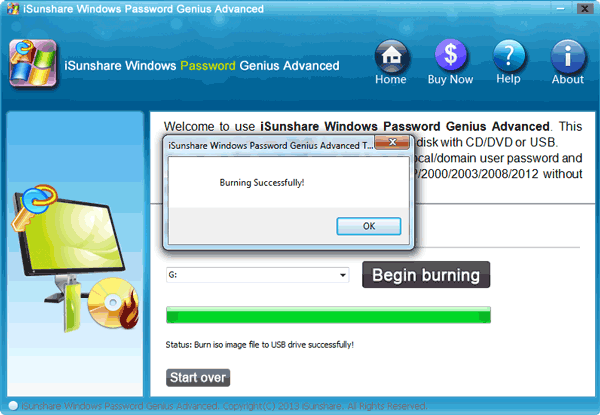 Now click “Begin burning” button to burn a Windows password reset disk. After a while, you would get a bootable Windows password reset disk that can recover Windows 10/8.1/8/7/XP/Vista password. 1. Insert the created Windows password reset disk into the locked computer. 2. Launch the locked computer and make it boot from USB flash drive or CD/DVD. Hold on the F8 key to enter the BIOS and select to boot from the corresponding USB or CD/DVD. 3. Then you can see Windows Password Key runs on the locked computer. 4. Choose a Windows system and select the standard user or administrator or Microsoft account that you want to recover password, then click “Reset Password” button. 5. Now the user password becomes blank and you can click the “Reboot” button to restart the computer and login into your account without password. With Windows Password Recovery, all the data on the locked computer are safe. 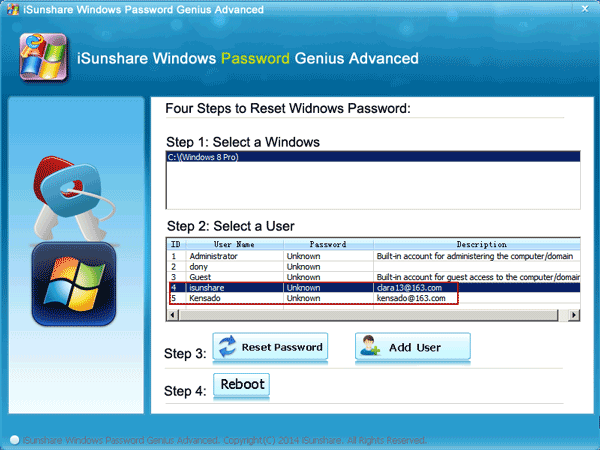 Follow the user guide of Windows Password Key step by step, you will get your Windows back without any harm.